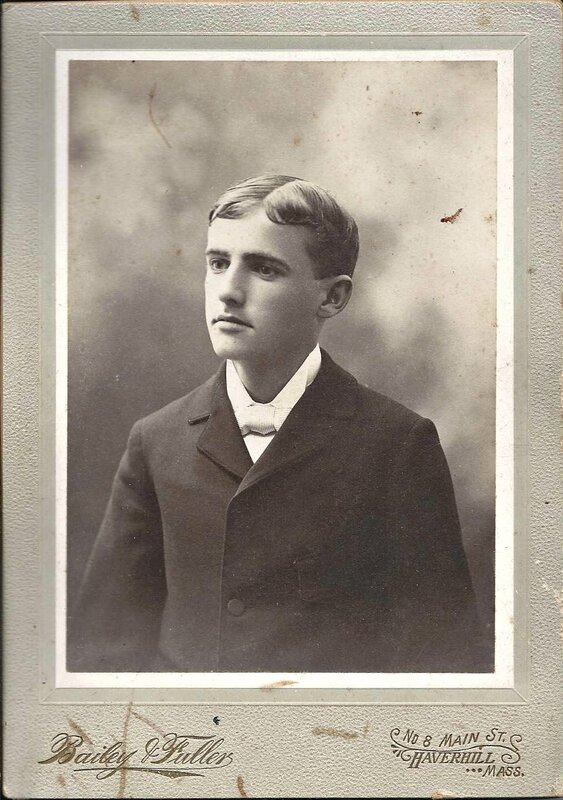 1896 graduation photograph of Raymond H. Torrey, a student at Georgetown High School, Georgetown, Massachusetts. The photograph was taken by the Bailey & Fuller studio of Haverhill, Massachusetts. Raymond Hezekiah Torrey was born 16 July 1880 at Georgetown, Massachusetts, the son of Sea Captain Grafton F. Torrey and wife Margaret Leonora (Warren) Torrey, both of whom were born at Deer Isle, Maine. Raymond's paternal grandparents were Francis Haskell Torrey and Hannah (Eaton) Torrey. 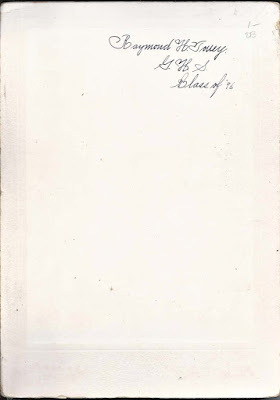 His maternal grandparents were William and Margaret (Babbidge) Warren. After graduation, Raymond started his journalism career as a reporter for the Georgetown Advocate in his home town and later moved to the Springfield Union, at Springfield, Massachusetts. By 1903 he had moved to New York City to work for the New York City News Assocation. Throughout his career he reported for or managed at the New York American, the New York Tribune and the New York Evening Post. His last position was as a columnist writing the influential hiking column "The Long Brown Path" for The New York Post. To many, though, his most important life's work was as a botanist, conservationist and trail creator and steward. A section of trail he worked on became the first officially completed section of the Appalachian Trail. A monument to him, the Torrey Monument, is located in that section on Long Mountain in New York. 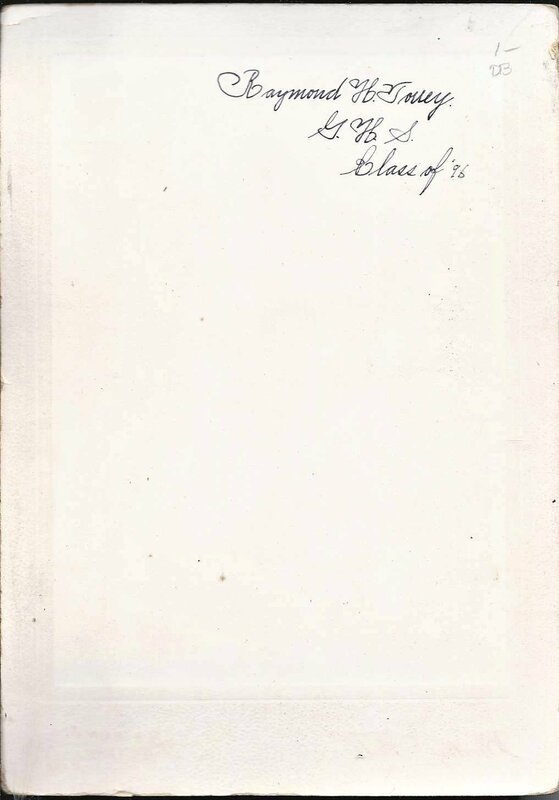 On 18 April 1909 at Brooklyn, New York, Raymond Hezekiah Torrey married Elizabeth R. "Bessie" Bastible, daughter of Daniel Ignatius Bastible and Ellen A. (Turner) Bastible. Bessie was born 31 August 1890 in New Jersey. The couple had at least two children, a son and a daughter. To the shock of many in the hiking world, Raymond died of a heart attack on 15 July 1938 at Hollis, Queens, New York. His ashes were scattered atop Long Mountain, which afforded one of his favorite views. See a minute and a half video of that panoramic view here.